In this week's City Paper, I wrote The Short List and a Rap Sheet column, both featuring a lot of upcoming hip hop shows in Baltimore, including Eze Jackson at this weekend's Baltimore Indie Fest. 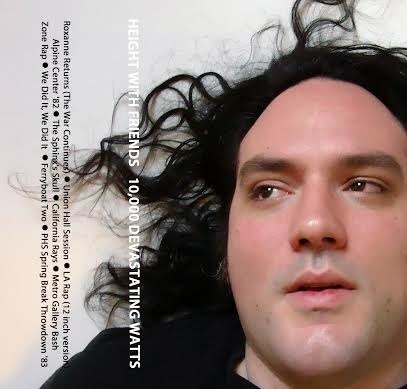 I wrote about the new Height With Friends track "Roxanne Returns (The War Continues)" on WAMU's Bandwidth site. In this week's Baltimore City Paper, I wrote a BPM dance music column and The Short List. I should note, by the way, that I started Government Names 10 years ago this week. It feels odd to say, but starting a blog really was a life-changing decision for me that has had a huge impact on the last decade of my life. Shout out to Dylan.